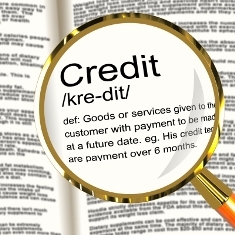 Home » Finance » If You Have Bad Credit, What Does This Mean For Your Car Finance? Many people across the UK consider a finance plan to fund their car purchase, whether they are looking to buy a new or used car. It is a common misconception that if you have bad credit, that you’re not able to get a car on finance, luckily however, this is not the case. Lookers, who offer simple car service plans, explain what bad credit truly means for your car finance. Due to potential higher costs overall, you may be limited by your budget as to the cars you’re able to buy, meaning that lesser-priced vehicles may in fact be the only option for you. Although that perfect model may therefore be beyond you, the quality of today’s cars means cutting-edge technology and many other attractive features are often offered as standard. You should expect a higher ARP amount if you have a low credit score. This is because although it may not be true, it’s perceived that you are more likely to fail to keep up with scheduled payments. The amount of ARP there is can raise the overall cost of your next vehicle if you enter a lengthy contract. Due to this, it is also required that you are expected to pay a larger deposit, so that your creditor has some sort of financial security. Despite having some restrictions, opting for a finance agreement is a good chance to build your score back up to a healthy amount, which can help you gain better terms for any future car purchases.